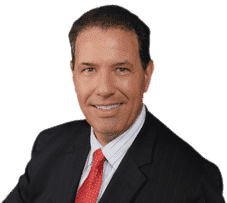 Your Coral Springs Auto Accident Attorney, Robert Gluck from the Law Offices of Robert E. Gluck, P.A., is a devoted and experienced lawyer who has been practicing law since 1989. He is passionate about providing the legal guidance victims of auto accidents need. He will work hard to get you the compensation you deserve so you can focus on healing your injuries. When you get into an auto accident and are injured as a result, you will need to call Robert Gluck immediately. As a Coral Springs Auto Accident Attorney, he will make sure to launch a full investigation into your accident and gather the evidence he will need to prove someone else's negligence was the cause of your accident and should be financially responsible for your medical bills. You will benefit greatly from having a Coral Springs Auto Accident Attorney like Robert Gluck on your side while you're going through the process of your case. He will make sure to take care of every detail from beginning to end and make sure you get the compensation you need to take care of your injuries and move forward with healing. An experienced Coral Springs Auto Accident Attorney can be integral to your case and getting you the maximum compensation you deserve. Studies have shown that those who are legally represented tend to receive a higher compensation than those who don't. You shouldn't have to take on something like this by yourself and your Auto Accident Attorney will be there to help you through it.